Achievements as a Urologist -Established 1st Urology unit of U.P. in KGMC Lucknow in 1980. - Established Department of Urology – KGMC, U.P. - Core officer : Centre of Excellence of U.P. - For no Scalpel Vasectomy (GOI). - Master Trainer for No Scalpel Vasectomy for State of U.P. and for Micro - Surgery of vas Recanalization. - Established centre of excellence for vasectomy and NSV in department of Urology KGMC (A project of Government of India). - Training 4 Surgeons per district in 30 districts in U.P. for no SCALPEL VASECTOMY. - President Urological Society of India North Zone. - Awarded world Medal of Honor by American Biographical Institute USA. Superintendent in Chief : Gandhi Memorial & Associated Hospital, KGMC. Member : Medical Faculty U.P. Master trainer and Director : Centre of Excellence and Population, Control, Urology Lucknow. Present Position : Honorary President & Founder of K.K. Hospital, Lucknow. Social Activities - President of Lakhan Ji Intermediate College, AHIRAULI BAGHEL, District Deoria, U.P. - Patron of Sangram Singh Intermediate College of Ahirauli Baghel District Deoria U.P. - Keen interest in Rural Development, Education and Family Welfare, because of the efforts made, there is 100%literacy in Village Ahirauli Baghel, District Deoria which is an under developed area. 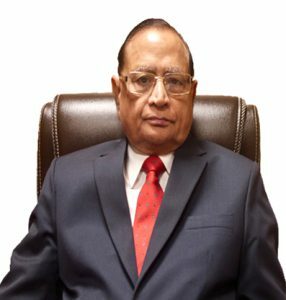 - Honorary President of Krishna Society for Medical Relief & Rural Development which owns & runs super speciality Charitable Hospital “K.K. Hospital” at Nabiullah Road, River Bank Colony, Lucknow. In Ancestral Village instrumental in starting Two Intermediate Colleges leading to near 100% literacy in present generation. Hon. President of Lakhanji Intermediate College, Ahirauli Baghel, Distt-Deoria.U.P. At Lucknow has developed a 150 bedded Charitable “K.K.Hospital”, “K.K.Institute of Nursing” and “Paramedical Institute”. Thus fulfilling the need for Super Specialty Medical Services as non-profit making Hospital run by Society and also imparting training courses to Nurses and Paramedicals which are recognized by U.P.Govt., U.P.State Medical Faculty and Nursing Council of India. After retirement from King George’s Medical College, Lucknow and Vice Chancellor of the Medical University, is Hon’ble Director of K.K.Hospital and Hon. President of the Krishna Society for Medical Relief & Rural Development Lucknow organizes Free Medical Camps in rural areas to serve the under privileged population to name a few so far has organized Health Mela & Camps at Deoria, Kushi Nagar, Raibareli, Lalganj,Lucknow (Bakhshi Ka Talab, Gosainganj) etc. Continues to take part and organize No Scalpel Vasectomy services at various places in U.P. (On 30-07-2004 at Behraich) for Population Control.Continues to contribute academically and publishes articles in reputed journals. Second position and book prize in first professional exam of M.B.B.S. Second position and book prize in final professional part I exam of M.B.B.S. Second position and book prize in final professional part II exam of M.B.B.S. Mcgrate book prize for best student in Medicine. Merit Scholarship in all professional examinations for second position. Distinction in Social and Preventive Medicine. Certificate of Honour in Surgery. Certificate of Honour in Medicine. Certificate of Honour in Pathology. Certificate of Honour in Medical Jurisprudence. Certificate of Honour in Physiology. Certificate of Honour with Gold Medal for best student Physiology 1962. P.N.Kataniya Oration for North Zone Chapter- USI. “Meda” Oration of IMA at Nagpur. Awarded “Marudhar Oration” for 2004 for North Zone Chapter U.S.I. Founder Member of Indian Chapter of American College of Surgeons. Member of Governing Council U.P.Chapter of Association of Surgeons of India. Commonwealth Fellowship for higher training in Urology, U.K.
Training at Japan for Uro-Radiology. Training at Germany for PCNL. Training at Israel for Lithotripsy. Attended American College of Surgeons meeting for award of FACS. Visited China for Workshop on No Scalpel Vasectomy. Full member of British Association of Urological Surgeons, U.K..
Has the credit of establishing the first Urology Unit of State of U.P. at K.G.s Medical College, Lucknow in 1980, which has grown to a level that M.Ch. (Urology) course is to be started soon, inspection by MCI has been done. Core Officer, Center of Excellence, for U.P., for NO SCALPEL VASECTOMY for Family Planning, recognized by Govt. of India. Master Trainer for NO SCALPEL VASECTOMY for state of U.P. and for Micro Surgery of Vas Recanalization. President Urology Society of India (North Zone). Member of Governing Council, U.P.Chapter Association of Surgeries of India. Invited to deliver prestigious “Meda Oration” at all India Conference of I.M.I. at Nagpur in December –1996. Nominated by Department of Family Welfare, Ministry of Health Govt. of India to participate in “Workshop on No Scalpel Vasectomy” at Chengdu, CHINA, from 12th to 20th December 1999. Govt. of India has sanctioned Center of Excellence for Vasectomy & NSV under Prof. K.M.Singh in Department of Urology. Has trained four Surgeons per Center districts in 30 of U.P. in No Scalpel Vasectomy. P.N.Katariya Memorial Oration for North Zone Chapter –USI. “Marudhar Oration” to North Zone Chapter USI. Awarded “World Medal of Honor” by American Biographical Institute, U.S.A. M.S. (Surgery) passed in Ist attempt. Commonwealth Medical Fellowship in Urology 1978-79 at leeds General Infirmary U.K.for one years,worked with Mrs.R.E.Williams and Mr.Phillep Clarak, Appointed Lecturer in Surgery 30.1.70. Appointed Reader in Surgery 30.10.76. Fellow of International College of Surgeons (F.I.C.S.) 1.986. (Urology). Fellow of International Medical Sciences Academy (F.I.M.S.A.) 1987. Fellow of American College of Surgeons, 1987. (Urology). Member of National Academy of Medical Sciences (M.N.A.M.S.). British Association Urological Surgeons (B.A.U.S.). Faculty Member of refresher course of I.M.A. Lucknow Branch. 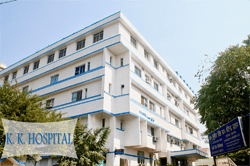 Consultant Urology Surgeon Railway Hospital, Lucknow. “Buridge Gold Medal for “Best Student in Physiology”. Seth Ayodhya Prasad Gold Medal for best student in Orthopedics Surgery.